David Etherington t/a Pestek Pest Control is a Leeds based provider of pest control services. I have been trading in the Leeds area since 2008. I provide discreet and professional pest control services in Leeds, Ilkley, Otley & Wetherby. Ants, Bed Bugs, Beetles, Cockroaches, Fleas, Mice, Moles, Moths, Rats, Silverfish and Wasps can all be quickly and safely controlled. My prices are very competitive, treatment costs are less than one from the larger national Pest Control service companies. 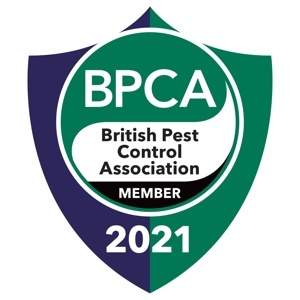 I follow the British Pest Control Associations code of conduct and always provide a 100% eradication guarantee. I am a fully qualified in all aspects of Pest Control and hold qualifications including the RSPH / BPCA certificate in pest control, NPTC certificate in pesticide application and the IOSH qualification in safety management and working safely in pest control. Domestic pests including Ants, Bed Bugs, Beetles, Fleas, Mice, Moles, Moths, Rats, Silverfish, and Wasps can all be quickly and safely controlled. If you have unwanted pests in your home or garden I should be able to help. Businesses such as hotels, care homes, student accommodation, as well as cafes bars restaurants are also catered for. My proven systems can detect the first signs of pest activity and prevent a serious infestation occurring. I can help keep your land and buildings pest free 365 days a year and as a wildlife aware accredited pest controller i can make sure that the local wildlife population is not affected. Using modern and traditional techniques common pests of agriculture including rats rabbits moles and birds can all be successfully controlled.